Archaeologists believe that there were only isolated stands of trees in the Salisbury Plain landscape at the time Stonehenge was built, far fewer than are evident today, so the far-reaching views that are hidden today by modern plantations wouldn’t have been obscured. In the Google Earth image the areas coloured red are directly visible from Stonehenge while the purple line shows the extent of the visible horizon (without trees in the way). So why not build it further up the westerly slope and achieve even further-reaching views? To do so would be to lose some of the flatness of the horizon in key directions. As it is, Stonehenge appears to be in the centre of a bowl of visibility where the directions to the important astronomical events of summer and winter solstice sunrise and sunset are clear and level. The second theory relates to the Station Stone Rectangle. Originally there were four Station Stones situated just inside the henge bank. Only two remain in place, the positions of the others (whose stoneholes have been detected) are known. Nature that the long sides of the rectangle are aligned on the extreme moonrise and moonset positions, in a cycle that takes 18.6 years to complete. It’s a feature of the astronomical geometry that only at the latitude of Stonehenge (give or take 30 miles) that these solar and lunar alignments occur at right angles to each other. Further north or south than that limit and the Station Stone Rectangle would become a parallelogram. The third possibility concerns the Heel Stone and the Avenue. The Heel Stone is an unshaped sarsen boulder weighing in at over 35 tons that is positioned to the northeast of Stonehenge at the top of the ceremonial approach way called the Avenue. It is traditionally associated with marking the position of sunrise on the summer solstice as seen from the centre of the circle. During excavations by the Stonehenge Riverside Project in the mid-2000s, a series of features were discovered at the top of the Avenue which have been identified as “periglacial stripes”. These cracks and runnels in the underlying chalk where water has repeatedly frozen and thawed happen to run exactly along the main solstice alignment down the slope to the northeast beyond the Heel Stone. The SRP team suggest that these features would have been visible as parallel lines in the grass leading towards the Heel Stone. They go on to suggest that since the Heel Stone is unshaped, it may always have been lying in the landscape very close to where it has been set upright. They conclude that a series of noticeable stripes in the grass leading up a slope towards a massive rock exactly in the direction of the winter solstice sunset may be the reason why this spot was regarded as a special place, worthy of memorialising. Fourthly, there’s the theory that the combination of Bluestones from Wales with Sarsens from the more local area represents the symbolic political unification of two different groups of people at this spot on the borderland between their separate spheres of influence. We do know that the area has been a focus of activity for more than 10,000 years going right back to the end of the last Ice Age in Britain, as shown by the recent discoveries at Blick Mead in Amesbury, and there are the massive Mesolithic post holes in the landscape only a couple of hundred metres northwest of Stonehenge. Perhaps we’re looking at the continuation of a specialness that was handed down across the generations, with each successive group embellishing the stories and the monumentalisation a little for itself until finally we end up with a Visitor Centre that receives over a million people a year. 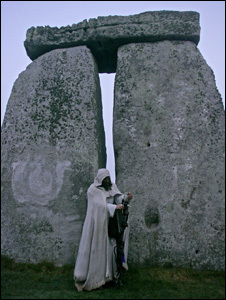 Ultimately though, the reasons for the choice of this location will remain one of the more puzzling Stonehenge mysteries. Salisbury Plain Safaris offers a unique look at the dramatic landscapes, rich history and picturesque villages surrounding Salisbury, Stonehenge and the surrounding villages. Stonehenge ATV. This is what you have been looking for – the ultimate two seater buggy Salisbury Plain experience. Visit Wiltshire. Looking for more information on the famous Salisbury plain?…If so, click here to get the latest information direct from the official Wiltshire tourism site!